There's a reason the U.S. farm lobby wants better access to Cuba. Of course there&apos;s a website called World Poultry, and of course it&apos;s incredible. It turns out that U.S. poultry farmers make a large part of their income exporting birds to several neighboring nations. 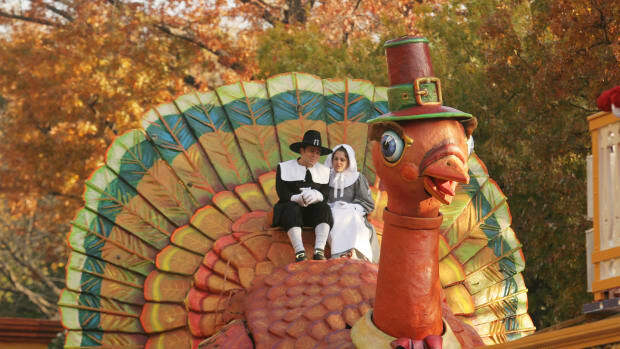 The leading buyer of U.S. turkeys other than the U.S. market itself is Mexico. 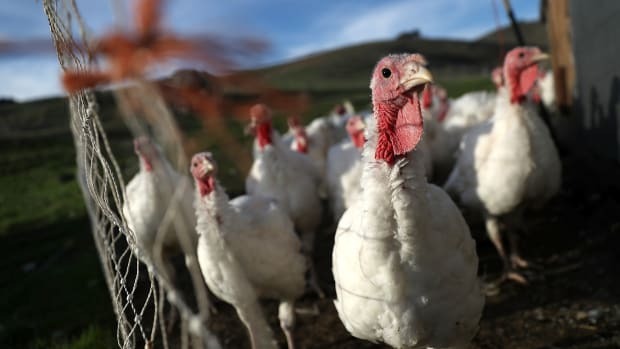 Canadians sell the United States&apos; turkey chicks, which Americans raise on our cheap, amber waves of grain, and sell back to the Canadians as broiler Toms. Among the other big poultry customers of the U.S.? Writing back in June in The American Interest, the University of Denver&apos;s Joseph Szyliowicz, who had just visited Cuba, pointed out that American state governments with large agricultural industries have been sending delegations to the semi-isolated island to make import-export deals. The United States, thanks to a powerful farm lobby, is Cuba’s chief supplier of food products. Since 2000, it has shipped large amounts of wheat, poultry, pork, corn, soy and other commodities. These sales, which amounted to more than $700 million in 2008, have fluctuated downwards since then, owing to Cuba’s shortage of foreign exchange and its inability to buy on credit; still, they amounted to about $460 million in 2012. 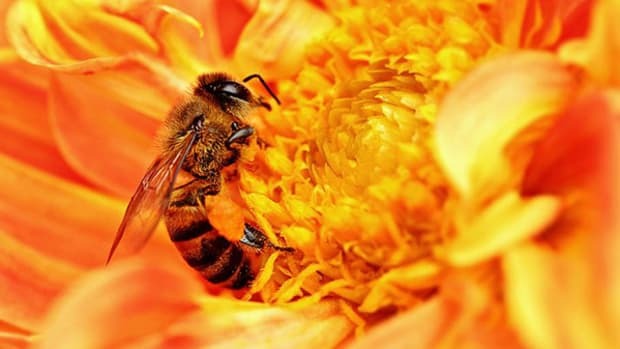 To facilitate such trade, the USDA’S Foreign Agricultural Service has a website filled with useful information on topics like finding potential buyers. Individual states have also moved to increase food sales. For example, California has sent an official trade delegation, and Texas has formed its own organization, the Texas-Cuba Trade Alliance, to promote its exports. Poultry too. Though "chicken paws" seem to be the leading Cuban import from the U.S. edible fowl market, turkey shows up on most lists, and why not, it&apos;s only $1.57 a pound on average, according to the USDA, perfect for a place with massive foreign exchange shortages. What the poultry-to-Cuba numbers suggest is a fantastic face-off over Cuba between political opponents of the Castro brothers&apos; government, and Big Ag, for which an island that can&apos;t afford chicken feed is less Communist Bulwark than Capital Opportunity. One can only imagine the impact of an advertisement from, for example, Tyson, showing either of the Castro brothers carving a massive, golden Tom, stuffed with Caribbean rice. Both are getting up in years. Wouldn&apos;t hurt to ask. Why Is Turkey Cheaper Around Thanksgiving? 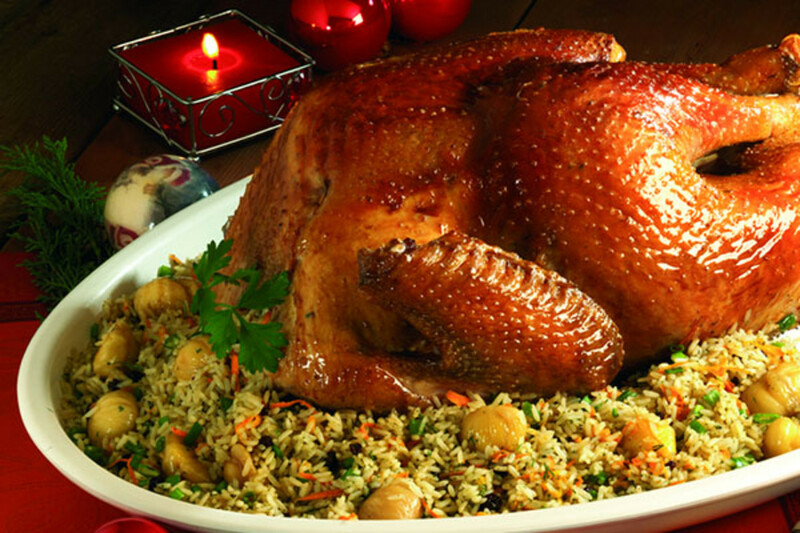 Despite being the period of highest demand, the rise in supply means the price of turkey tends to fall around the holiday. A collection of our best stories for you during the holiday. 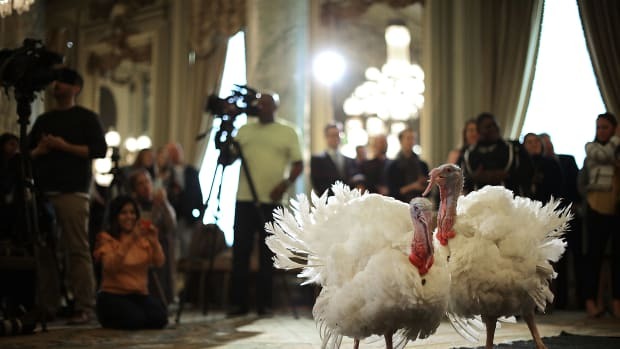 Viewfinder: Thanksgiving Turkeys Debut in D.C.
Drumstick and Wishbone, the National Thanksgiving Turkey and its alternate "wingman," meet the press ahead of their presidential pardon at an event in Washington, D.C.